DeLana Harvick continues to stick up for her husband, reigning Sprint Cup champion Kevin Harvick. 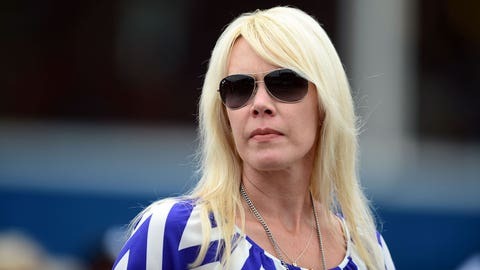 Remember a couple days ago when we told you about DeLana Harvick jumping to her husband’s defense on Twitter after some people accused him of deliberately causing a results-altering wreck on Sunday at Talladega? DeLana did have one more message, however, for the folks she deems as "ignorant." I appreciate all the love, support & positivity. Even those that disagree with me, but can do it respectfully, I appreciate y'all too! Here's what I think.. #Harvicknation rocks and haters make me smile! That's all.